Mass shootings have been around for a long time in America. But public, random violence is on the rise. Kills at least 4 others. 1913–Ernst August Wagner–Stabbed wife and four children, drove to Mühlhausen an der Enz, Germany. Open fired on 20, killing nine, several animals, and burning down several buildings. 1927–Stephanus Swart–shot eight before killing himself outside Charlestown, South Africa. 1938–Mutsuo Toi, a 21 year old, killed half of his small village in Japan. Killing 30 with shotgun, sword, and axe before committing suicide. 1954-1957–William Unek, on two separate killing sprees killed 57 people in Belgium Congo. 27 were killed by axe, 26 with gun, 2 with fire, and one by strangulation. Note: There are words for mass-murderer in many languages, including ancient ones. 1930-1960–most mass shootings familicides and felony related killings. 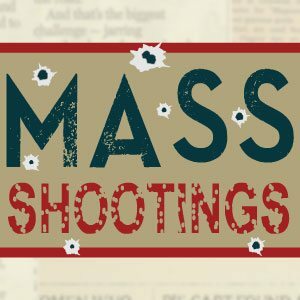 1960-present–most mass shootings are in public places against unknown bystanders. 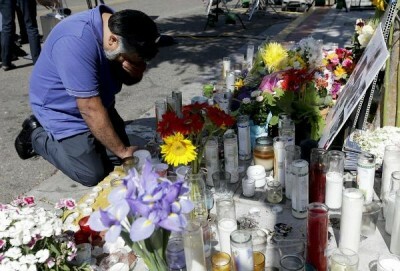 Mass shootings are a matter of public and mental health, and they’re increasing in frequency. Support preventative measures before it’s too late.